Merry Christmas to you all! Enjoy this spectacular video! Mannheim Steamroller is one of my favorites and this video is so worth watching! Friday I was setting up the sound for our Johnston County Home Educators (JCHE) Junior and Senior Choruses Christmas Concert and fell! Mis-judged a step and went sprawling across the floor. Immediately got up felt tingling in my right knee but kept on going. By the evening concert my limp was evident and Saturday morning I was in a great deal of discomfort. So…a trip to the doctor and x-rays showed a knee sprain and a swollen lcl. I also have bronchitis and was put on antibiotics and prednisone. I have been forced to stop and rest. With the Kindermusik semester beginning so late I had hoped to only miss the week between Christmas and New Years. Oh well! The best laid plans of mice and men! How Fascinating life continues to be… I will at least be free of illness, I hope, by the time I see family in Ohio! Ribbon Cutting and Grand Opening a great event! 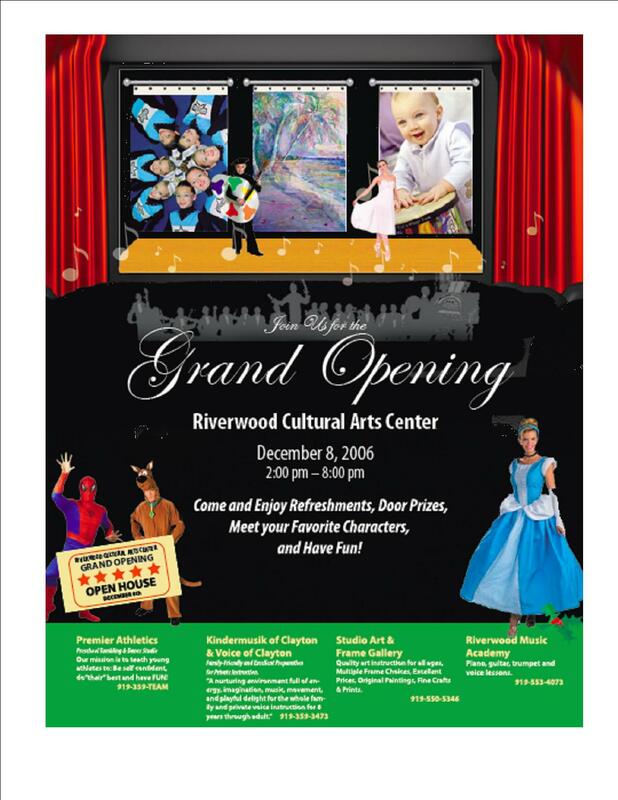 Our NEW RIVERWOOD CULTURAL ARTS CENTER IS NOW OPEN! 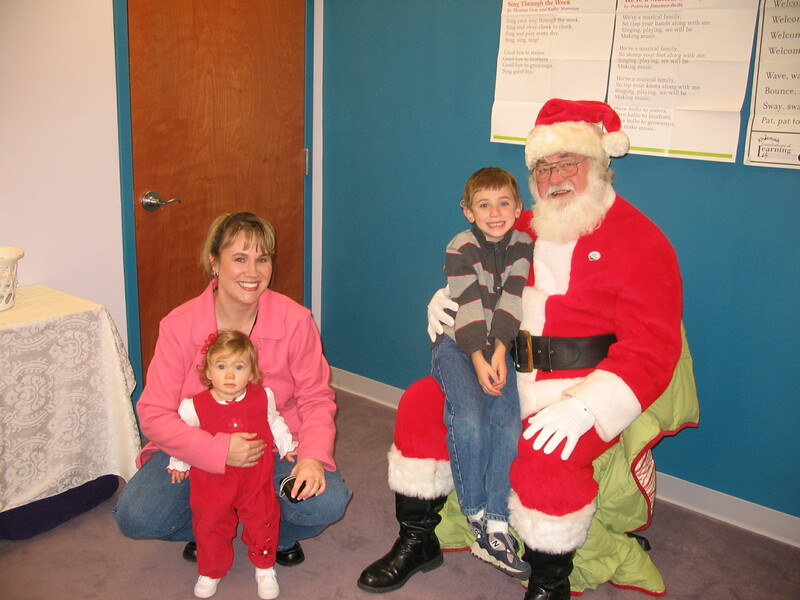 I am delighted with the number of families who came by to visit our new location. For those of you who participated in the drawing, Crystal McCumbers won 50% off of Winter/Spring Tuition for her son Colin. Congratulations Crystal! 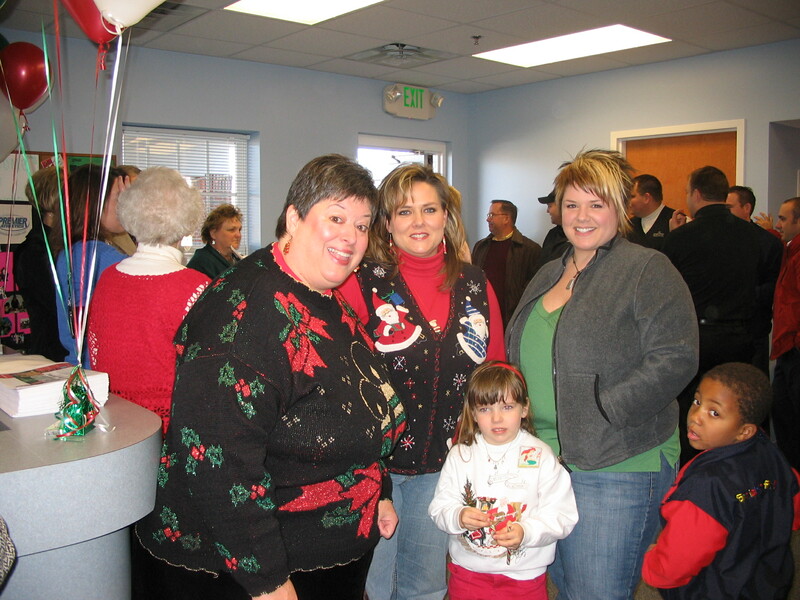 Below is our new entrance and a picture of my daughter Kendra and our friends DeeDee and Victoria Ward with me at the Grand Opening in the Dance Studio. 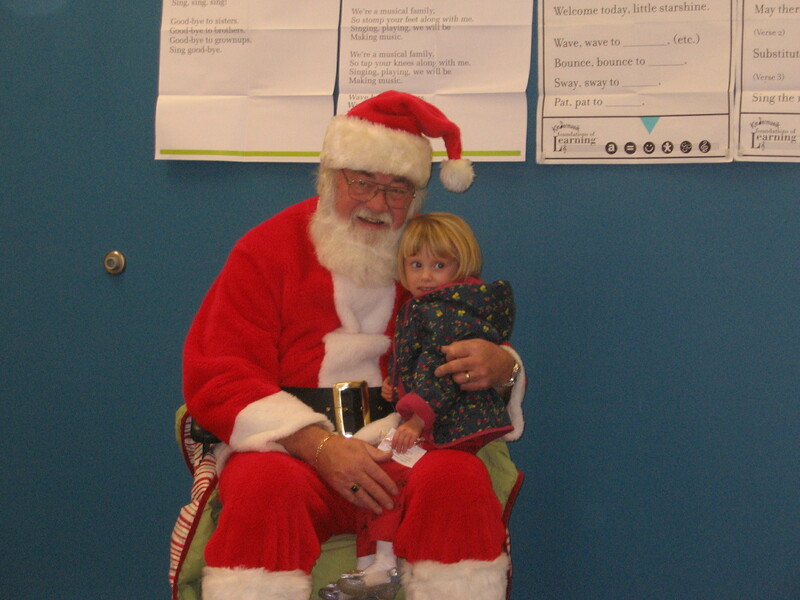 Santa came to our studio on Friday during our Open House. It was an exciting event and well attended! 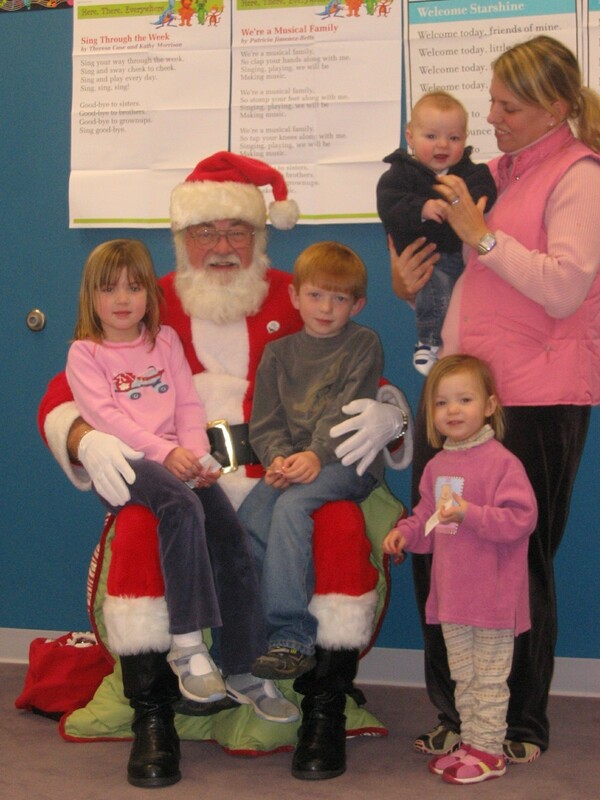 Here are just a few of our Santa pictures! 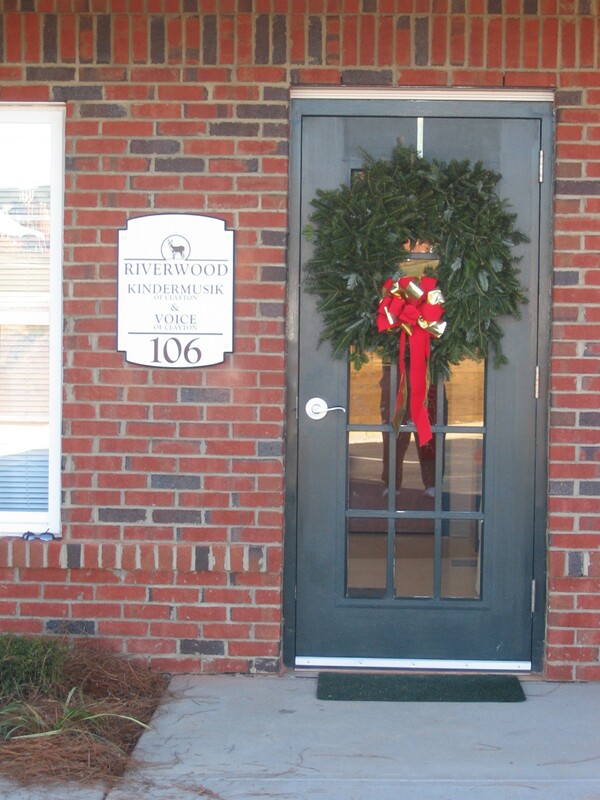 Grand Opening and Ribbon Cutting Friday December 8th! Please watch this video and then buy your child the appropriate seat belt protection. 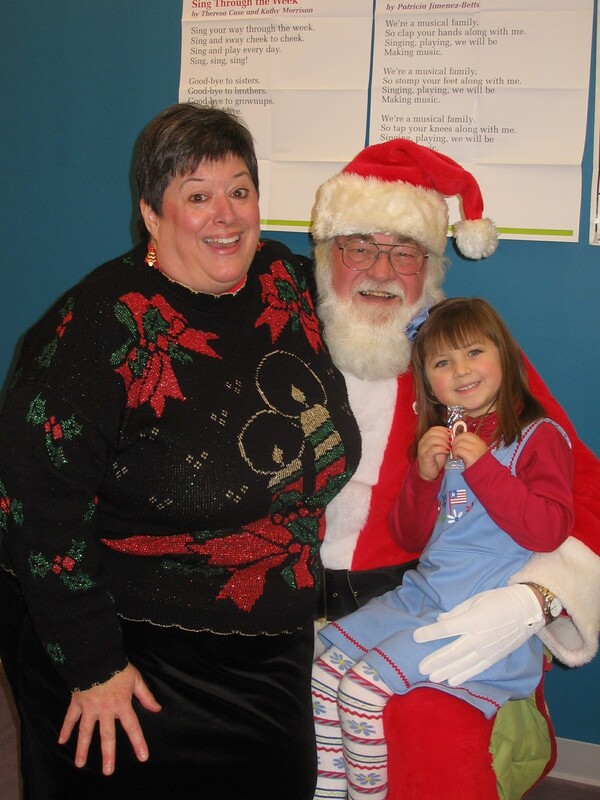 Kindermusik Online Registration for Winter/Spring Semester! Online Registration is now available for Winter/Spring 2007 Semester. Link to this list to find the class you want. Following are the descriptions for next semesters classes. songs, the stronger those emerging language-learning skills will be. your baby’s day, as well as help her develop lasting learning skills. incorporate them into your daily routines. skills he’ll need in school. your daily routines, favorite nursery rhymes, and stories. become a lasting, well-loved favorite of the toy box and book shelf. I love it when Dad’s come to Kindermusik! I love it! 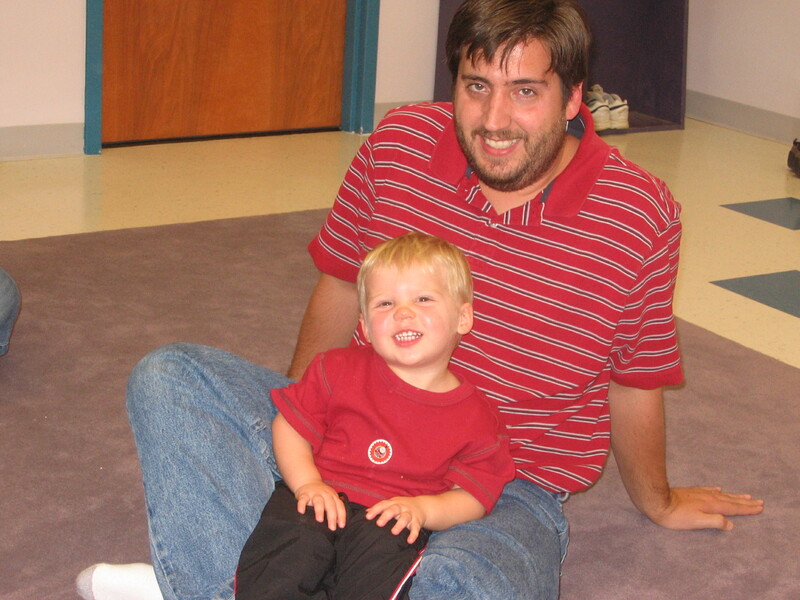 We have several active Dad’s this semester in our Kindermusik studio…check it out! This was featured on Oprah and you will be shocked to see how babies really can talk! For millions of sleep-deprived mothers around the world, this woman’s findings could be a miracle! Priscilla Dunstan, a mom from Australia with a special gift, says she’s unlocked the secret language of babies. When Priscilla was a toddler, her parents discovered she had a photographic memory for sound. At age 4, she could hear a Mozart concert on the piano and play it back note for note. Those “words” are actually sound reflexes, Priscilla says. “Babies all around the world have the same reflexes, and they therefore make the same sounds,” she says. If parents don’t respond to those reflexes, Priscilla says the baby will eventually stop using them. Priscilla recommends that parents listen for those words in a baby’s pre-cry before they start crying hysterically. She says there is no one sound that’s harder to hear than others because it varies by individual. She also says some babies use some words more than others.